Anglers, both beginner and seasoned ones, must take into consideration the fishing tackle that they use on their trips. 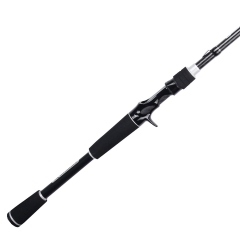 There are, in fact, different kinds of fishing rods: casting and spinning rods. Before you buy one, you have to know the difference between the two. A spinning rod like the Fenwick Eagle bends from the strength of the fish dragging the line with all of its eyelets pointing down. This line then feeds out and draws down on the external rings of every eyelet on the spinning rod. Having basic information about the difference between rods will lead you to a fishing rod that will work for your chosen methods and the catch you are after. This article will provide more insight about the Eagle spinning rod and its benefits. There are several reasons why a spinning rod like the Fenwick Eagle is the choice fishing rod by a lot of anglers. To begin, spinning rods can fling lightweight lures at a great distance. It is even deemed by many as better than an ordinary baitcaster. It is effective for tossing crankbaits, lightweight jerkbaits and dropshotting. Even a moderate breeze can prove to be problematic for fishing tackle. The spinning kind is more effective in terms of combating wind resistance compared with baitcasters. If you want to pass over underneath covers that hang low like piers and docks, you can do so with a spinning rod. A spinning rod will also let your lure to plunge down directly into the water without that pendulum-motion like effect that one will get from baitcasters. Because the line on a spinning rod will unravel without restrictions from the immobile spool, it increases the chance upon minimal resistance than the pull required to maintain movement from a spinning spool. 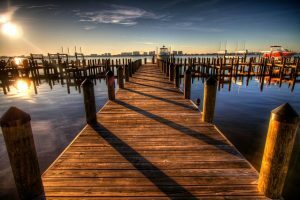 This factor is crucial, especially when you tend to fish on vertical covers like existing timber, sheer bluffs, high vegetation, pilings, and seawalls. A Fenwick Eagle is also ideal when going after current breaks where you need the bait to drop directly into the water. 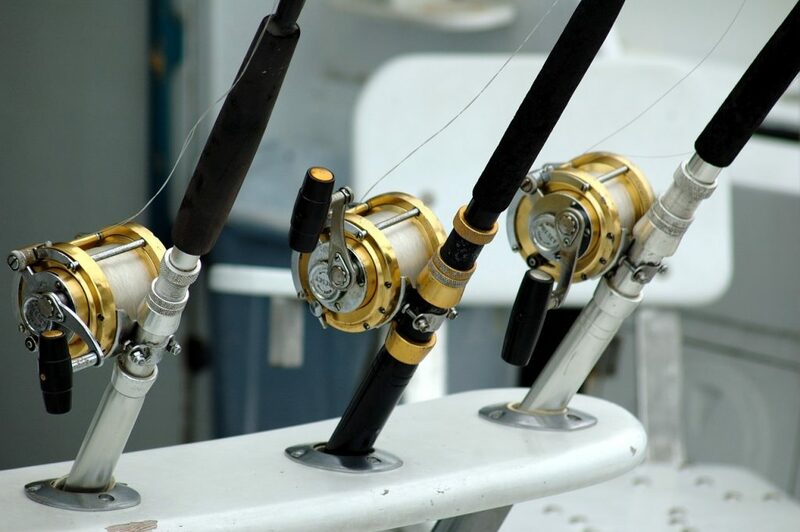 A spinning rod can be used by anyone, whether they are left-handed or right-handed, since the majority of spinning rods have handles that are interchangeable between the left and ride sides to better accommodate both groups of individuals. Lastly, you can easily modify the drag of your rod’s spinning reel while struggling with your catch. Regardless where the drag is located, in the rear or the front part of the rod, a spinning reel’s drag is not just on hand and it is let go freely to provide a complete range of modifications when struggling with the fish. 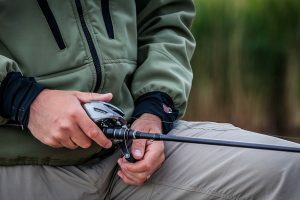 Baitcasters can be adjusted when in use as well, but the difference is that the drag location of a baitcaster is located close to the handle and attempting to spin it while combatting a fish can be challenging. A spinning rod makes fishing simpler since it makes use of a spinning reel. Lots of casting reels now feature centrifugal cast control or magnetic systems, and for most fishers these options are not exactly beneficial. While it may benefit some, several still prefer the spinning rod and reel combination. 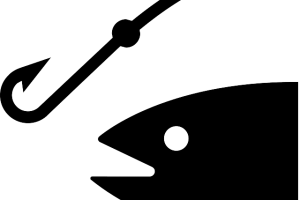 With a spinning reel and rod, the fisher grips the line against the rod by means of an index finger. The angler then overturns the ball which releases the line to prepare it for the casting. At an appropriate moment, the angler then lets go of the bait fly. As soon as the cast is accomplished, the angler then begins reeling to overturn the bail or overturn it back manually. When the casting is finished, the angler does not have to deal with the line getting out of the spool. There are two primary materials that are employed in fishing rod handles and they are cork and EVA foam. Every material has its benefits and disadvantages. The Eagle has a burled chip-resistant, durable cork design and is lightweight to boot. Compared to the foam kind, cork handles are also capable of sustaining lingering warmth in chilly conditions. 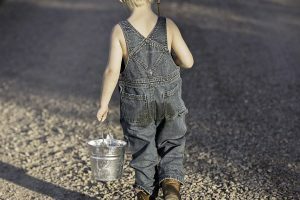 This means that they are more comfortable and warm to hold on colder days. Cork handles also have a notably reduced damping capability compared to the foam kind which indicates that the material is capable of spreading vibrations better, thus making them more sensitive. Certain fishing methods and locations call for more sensitivity out of a fishing rod, and cork is the best option for this if you are after those factors. It has an enhanced feel and responsiveness which is why cork is the choice material for top-quality spinning rods. 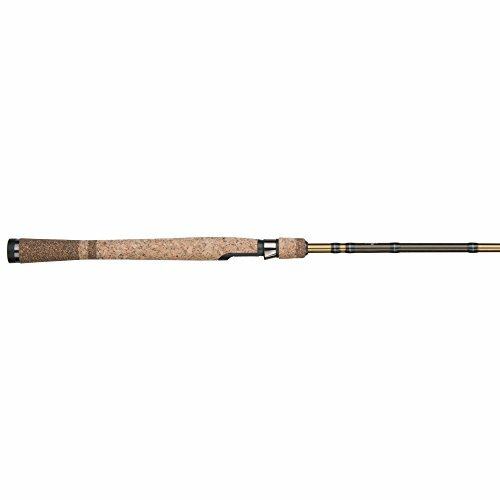 Now we have all of the advantages that a spinning rod like the Fenwick Eagle is ready to provide—the item makes for better distance casting, works well with lightweight lures, proves to be more effective in windy situations, can easily skip underneath low-hanging covers, has quality cork design, can drop straight to the bottom of the water and the handles are interchangeable. It also includes a drag system that fishers can tweak while fishing. There are fishers who still prefer the benefits of baitcasters compared to the spinning rod. The bad news about spinning rods is the fact that since they have rotational reels, if used improperly, the line can get twisted or knotted. Another drawback is the cork material—while they offer more sensitivity and provide a comfortable grip, cork is less durable compared to the EVA foam. Furthermore, keeping them neat is harder to do as well. If you want to do lots of in-shore fishing, you can go for the Fenwick Eagle because it is well-balanced, sensitive and lightweight. It provides medium action and is suitable for fishes like trout. This is a great fishing rod for your money. If you are tired of baitcasters or casting rods, then you should try out a spinning rod like this model. I am very satisfied with my Fenwick HMG. No doubt this is the most dependable rod that I own. I fish on the North Carolina Coast and participate in annual fishing tournaments. I have increased my catch of multiple species of game fish with this superior Fishing Gear.